The Edmonton Oilers became the first NHL team to use Pride Tape, a multicolored tape to promote inclusiveness in sports. 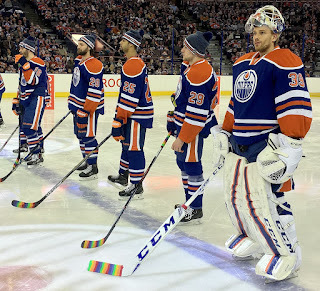 The Oilers used the tape during their annual Skills Competition at Rexall Place. 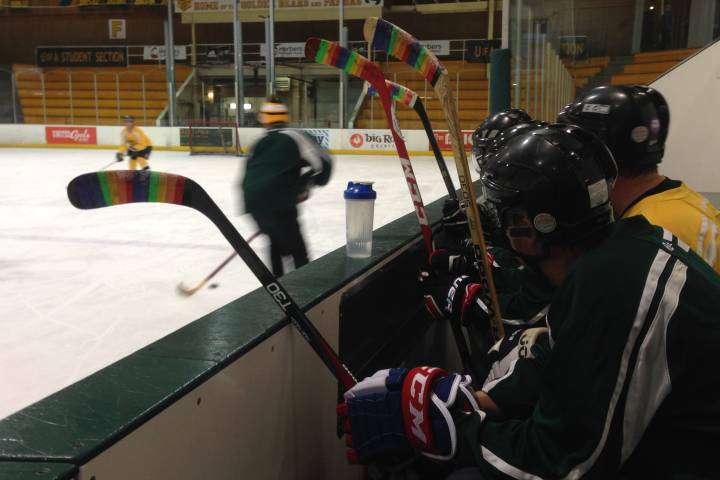 Pride Tape is described as a badge of support from the teammates, coaches, parents and pros to young LGBTQ players. 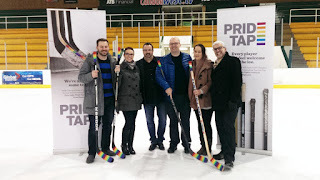 It shows every player that they belong on the ice, that everyone is on the same team and your help is needed to make it a reality. 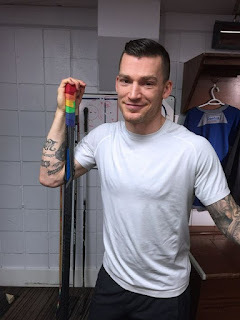 Defenseman Andrew Ference said: “Many view professional hockey players as role models and our team felt this was a great initiative to let every person know they’re welcome in the game of hockey”. 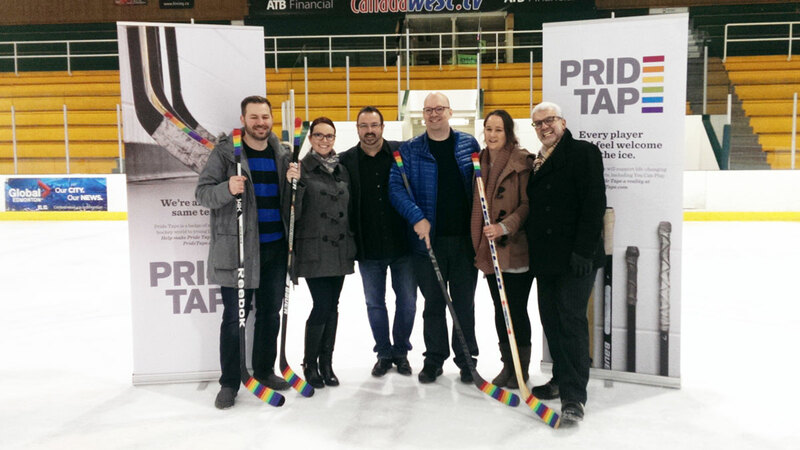 And he added: “We’re all proud to play for a team and city that supports diversity and human rights”. Other teams do similar actions, for example a Swedish hockey team wears rainbow uniforms in support of LGBT community, and a Spanish premier league soccer team unveils a new away kit to challenge homophobia.